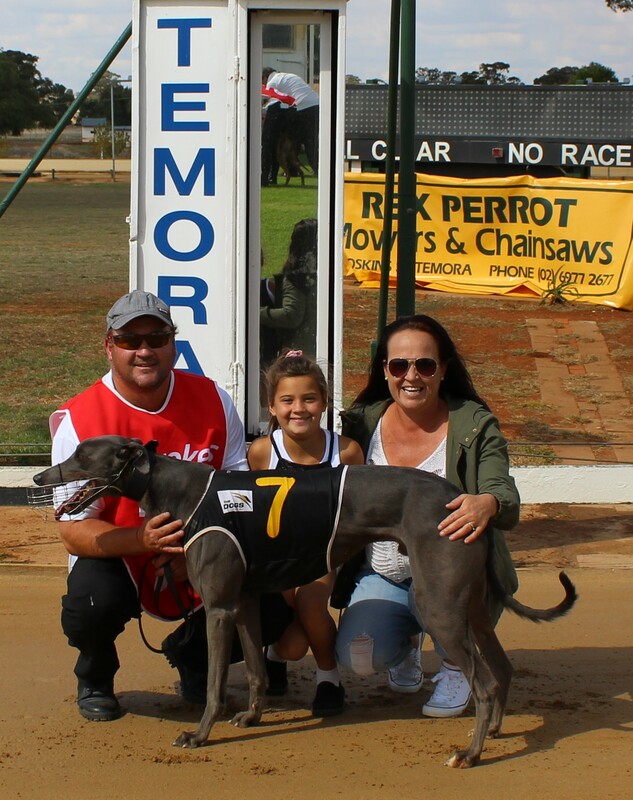 Temora had only 9 races for their first day meeting for the winter months, but it was a nice day and the races were all good with no scratching’s on the card. The gate money from the day will be donated to Legacy, and the major race on the card is for those men and women who served, fought and even died for their country- Lest We Forget Stakes. Race 1 Maidens on Gallipoli over 330m saw a no race as the boxes opened early and the dogs all went around as usual. 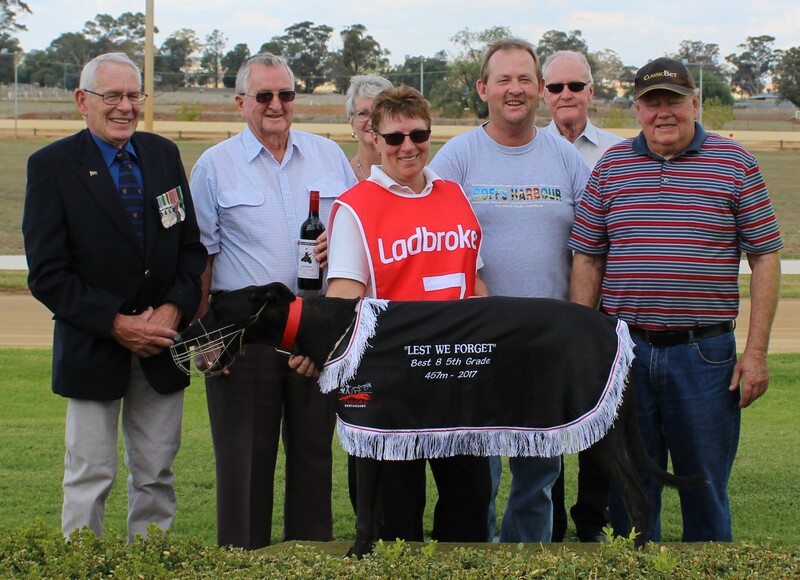 Race 6, was the main race of the day with guests from the RSL sub branch attending to rug the dog and congratulate the winning trainer. Lest We Forget Stake was run over the 457m and was dedicated to all the men and women who were there for their country during war. Tom Horn was the favourite and won in a close finish. Tom Horn trained by the Roy family from Wallendbeen won in 26.50 by a head beating Avondale Fox and Ubobo in a thrilling race. Bob Costello rugged the winning dog, and gave a bottle of wine supplied by Houlaghans Valley Wines. Race 7, Delta Agribusiness 4/5th grade 330m saw Last One Left win for trainer Rick McKinnon of Temora in 19.28 by 3 ¾ of a length to Rear Chance and Jackson Mac. Race 9, Reinholds Butchers 330m stake saw Mallee Trumos win for Graham Thurkettle from Harden in 19.31 by 4 ½ lengths to Predemonic and Hartley Matt.